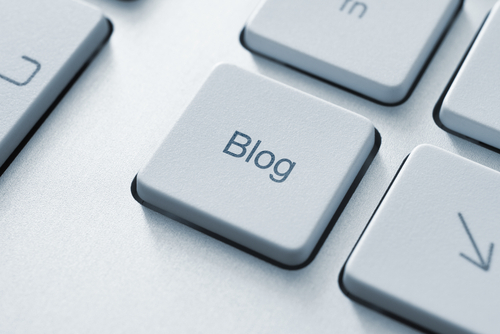 Do You Have A Blog Strategy? When quickly scrolling through my emails, I came across an email from a business offering blog writing services. The email proceeds to detail how they are a large business with a wide range of expertise in blog writing. The company extolled the value they offer and the savings they can provide, at $10 a blog! WOW! I dig a little deeper to find spelling errors, inconsistencies and learn that the company is based in India. Although it would be fabulous to have blogs written for $10, you do get what you pay for. My thoughts then turned to my clients – what if they received this email? Would they be tempted to hire this company because they are affordable or would they know that a blogger must know a lot more about a company in order to write a valuable blog? What’s the brand of the company? What is the tone of the blog? Who is the target audience that will be reading the blog? How long will the blog be? Will there be several contributors? From what perspective is the blog written? Does the blog endorse other brands? Is this blog a working partnership with other writers? Is this a conversational or formal blog? The answers to all of these questions set the stage for a valuable blog. By following the criteria, you can ensure that the blog is positively reflecting and enhancing your brand. This is your business’ voice, so ensure that the messages will be properly conveyed by those that really know your company. Have you used a discounted blog writer in the past? Did you feel that there was value for the price? Do you have a strategy for your blogging practices? I look forward to a lively discussion! Do You Know What Your LinkedIn Strategy Should Look Like? LinkedIn is the world’s leading professional social media website and growing at the rate of one new member per second. LinkedIn is increasingly used to connect businesses and develop connections amongst professionals. 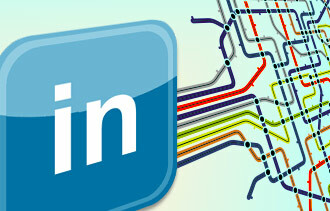 Unlike other social media platforms, LinkedIn serves as a useful business development tool. Social media has become a large part of business marketing strategies all around the globe. I know that many of you have a strategy in place for your business’s social media, but does the strategy break down the different platforms? Just as you wouldn’t use a net to catch a whale, you can’t use a Facebook strategy to engage your audience on LinkedIn. Different audiences require different strategies and being as LinkedIn’s is focused on connecting businesses, your strategy needs to be focused on developing areas of your business. Start your strategy by outlining your objectives and goals – these could be financial, brand exposure, or even partnerships. You then should decide on who you are interested in connecting with – C-level individuals, influencers, etc. Once you know whom, then you might consider the vertical e.g. financial, insurance, manufacturing, etc. With the groundwork laid, then you will want to consider how you are going to engage with these individuals – via connections, invites, notifications, group discussions, referrals, etc.? Once you have made the connections, how do you plan to keep in touch with them? As a final step, you’ll need to measure your success against your objectives. Having a LinkedIn strategy that is different from other social media strategies is crucial to developing your marketing success on this platform. Consider your current LinkedIn practices and explore how they could benefit from a strategy. Have you ever considered the need for a specific LinkedIn strategy? Is it different from other social media strategies? I look forward to a lively discussion!